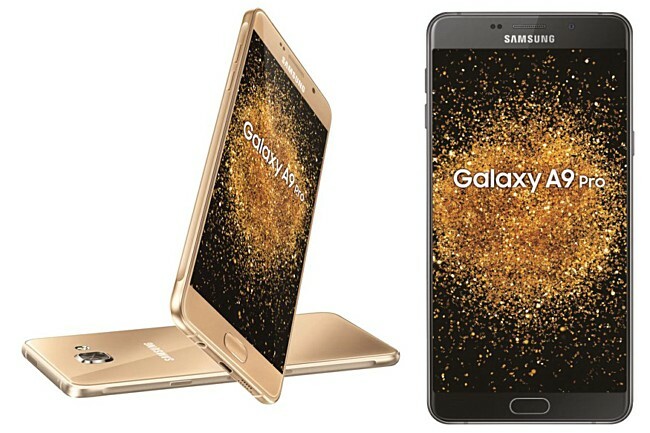 The Samsung Galaxy A9 Pro – which was made official in China back in March this year andmade its way to Malaysia in June – has now arrived in India. The device carries a price tag of INR 32,490 (around $485), and will be available for purchase from Samsung stores and e-commerce websites in the country starting September 26. To refresh, the Galaxy A9 Pro is powered by Snapdragon 652 chipset, and sports a 6-inch full HD display. It comes with 4GB RAM and 32GB internal memory, and packs in a huge 5,000mAh battery. In terms of camera, the phone features a 16MP rear unit and an 8MP front shooter. Measuring 161.7 x 80.9 x 7.9mm and weighing in at 210g, it runs Android 6.0.1 Marshmallow out of the box. Color options include gold, black, and white.